It was going to take some character to replace Jens Lehmann. The Teutonic Terror gave so much more to Arsenal than great goalkeeping: he was a giant physically and culturally at the London club, and finding a custodian to fill his boots was never going to be easy. While other goalkeepers had their opportunities, Wojciech Szczęsny - highly rated while on loan at Brentford - was quickly picked out by many as Lehmann's true heir. Szczęsny quickly became a vital presence in Arsene Wenger's Gunners side and became known as much for his candid tweets as for his burgeoning reputation between the posts. Szczęsny is more than just a goalkeeper. He's confident, mouthy, endlessly entertaining - in many ways, he's delightfully old school. For a 22-year-old he imposes himself extremely well on and off the pitch, no mean achievement in the shadow of the mad master. With the Polish international standing at a not inconsiderable 6' 5", it probably shouldn't be a surprise. 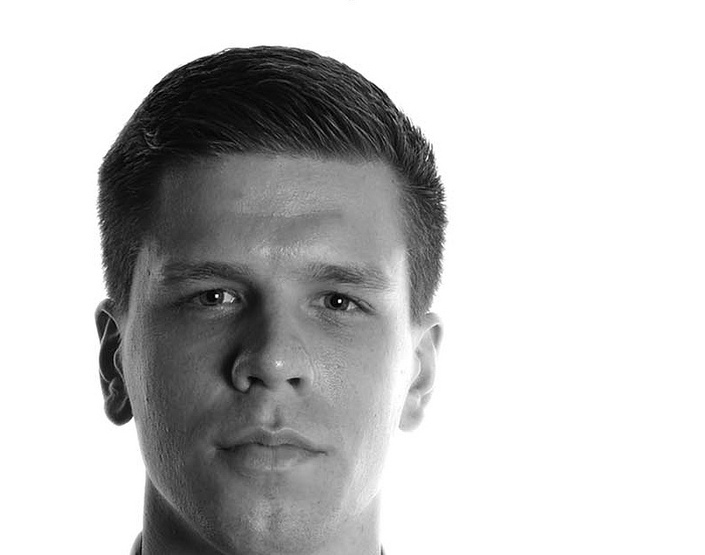 Szczęsny has all the makings of a top class goalkeeper. He uses his size well to command his penalty area as assuredly as any other 'keeper in the Premier League, bellowing advice and orders to his defence and making sure everyone on both sides know exactly where he is. Sadly, his vocal presence doesn't always mean good organisation. Since coming through the ranks at Arsenal after moving to London from Legia Warsaw, Szczęsny has established himself as a regular starter for one of the biggest clubs in England and has graduated from Poland's Under-21s to the senior team. For all these reasons it is perhaps a surprise that Szczęsny has stalled in 2012. After an excellent start to last season, he endured a less than spectacular Premier League run-in with UEFA Euro 2012 looming. It was a tournament that should have been the making of him, but in Poland's opening match as co-hosts against Greece it all went wrong. Poland led at the break through Robert Lewandowski's goal, but early in the second half the world got a glimpse of Szczęsny's rash side. Dimitris Salpingidis went through on the Polish goal and was unceremoniously dumped over by the Arsenal goalkeeper, whose tournament was ended by his red card and the form of his replacement, Przemysław Tytoń. The penalty was scored and Poland were destined to be eliminated after three matches. In that moment, Szczęsny demonstrated a big weakness in his game. In one-on-one situations, the giant Pole can be dangerously eager and prone to a rush of blood. Some Arsenal fans would argue that the biggest weakness of his game, the flaw that acts as the source of all the others, is a lack of calmness and composure. On top of that, his kicking isn't always the best and there is a case to be made that Szczęsny fails to save some of the shots he should be halting. Thankfully, shot-stopping is an aspect of his game that has been back on track at times this season. Nevertheless, his place may have been in doubt in recent months. With injuries to both Szczęsny and his compatriot Lukasz Fabianski, Vito Mannone enjoyed an extended run in the team. Szczęsny has been characteristically open in his self-criticism since his return to action - in December he pointed out that he doesn't feel he's done enough to impress Wenger - and he may yet pay the price. While undoubtedly inferior to at least one of his Polish counterparts, it was reported earlier in the season that Mannone could be in line to take over as first choice. Mannone failed to grab his opportunity, but has Szczęsny progressed this year? After a stellar ending to 2011, it's difficult to argue that he's moved forwards in 2012. How much of that is down to Arsenal's relative decline in general is up for debate. C- A fixture for club and making headway for country, but for how long?